COMMERCIAL and residential property developer DoubleDragon Properties Corp. will extend its business in the tourism sector after inking a deal to acquire its first hotel development. HOA, which owns Hotel 101, will serve as DoubleDragon’s hospitality arm. “We believe that the hospitality industry will continue to be one of the fastest growing segments in the country and it is an ideal way for us to increase our leasable portfolio in line with our focus of creating recurring revenue backed by appreciating assets,” DoubleDragon Chairman Edgar J. Sia III was quoted saying in a statement. HOA was created in 2011 as a joint venture between Mr. Sia’s Injap Investments, Inc. (IJI), Chan C. Bros. Holdings, Inc. (CCBHI) of the Oishi Group and Staniel Realty Development Corp. (SRDC). “Upon closing of the transaction, IJI will be fully divesting its interests in HOA and consolidating it at the DD level, while CCBHI and SRDC will retain 15% each in HOA,” DoubleDragon said. Instead of cash payment for its shares in HOA, IJI will pay with DoubleDragon shares priced at a 5% premium over the 30-day weighted average of the closing price of DoubleDragon common shares after closing date of the transaction. “The consolidation of Hotel of Asia into DoubleDragon will further intensify my focus in steering DD through its hypergrowth years. Since a few years back, I have been very optimistic about the high growth potential of the Philippine property sector related to consumer and tourism,” Mr. Sia said. 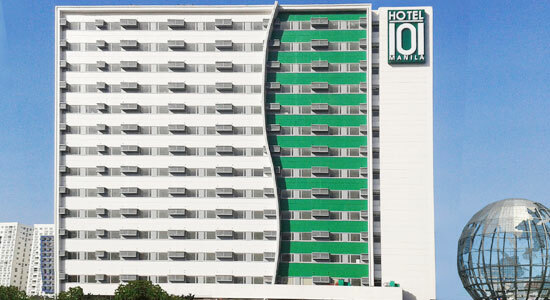 HOA currently has 866 operating hotel rooms from two Jinjiang Inns in Ortigas and Makati, Hotel 101 in the Manila Bay area, and Injap Tower Hotel in Iloilo City. HOA’s subsidiary holds the master franchise for Chinese hotel brand JinJiang Inn in the Philippines. DoubleDragon is a joint venture between Mr. Sia’s IJI and Honeystar Holdings Corp. of tycoon and Jollibee founder Tony Tan Caktiong. Shares in DoubleDragon added P0.95 or 1.70% to close at P56.95 each on Thursday.